BBC Young Reporter: What's real or fake news? The BBC will help give young people the tools to distinguish between real and fake news stories. 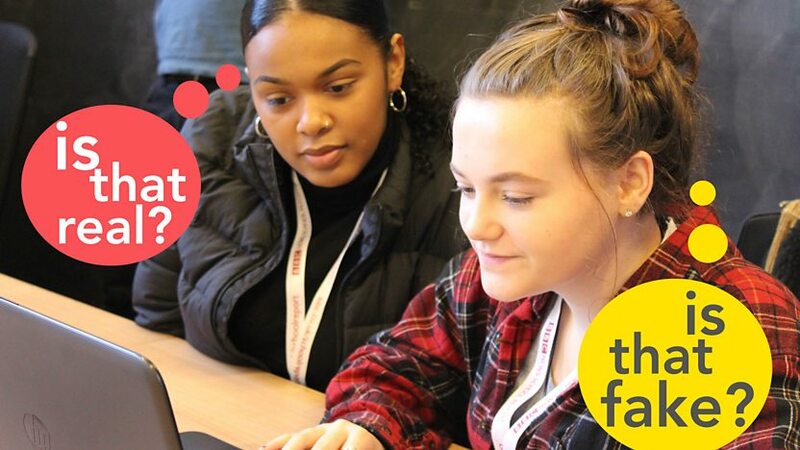 BBC Young Reporter is helping deliver a new initiative to support young people in identifying real news and filtering out fake or false information. The BBC is working with secondary schools and sixth forms across the UK providing mentoring from BBC journalists and access to free online materials including classroom activities, video tutorials and an interactive game. "Never has it been so important for young people to develop their critical thinking, to be news literate and have the skills to filter out fakery from the truth, especially on their busy social media feeds. BBC News, as the most trusted news provider and home of Reality Check, is ideally placed to bring this project to schools and young people around the country."